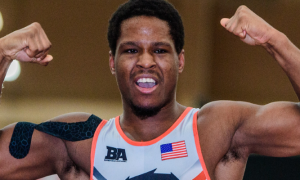 RaVaughn: "This is the Biggest Second Chance I've Ever Been Given"
Earlier this morning, we reported that RaVaughn Perkins (72 kg, NYAC) is replacing Jon Jay Chavez (NYAC/FLWC) for the United States at the 2018 Greco-Roman World Championships. The US delegation left for Hungary last week, first arriving in Tata where they are currently participating in a pre-Worlds training camp along with a collection of other nations. And it is from Tata where word got out this morning regarding Chavez’s departure. As mentioned in the original report, the official cause is said to have been a minor injury. Important to note if only because there was an allotment of talk throughout the summer regarding Chavez’s struggle to maintain his weight. The news comes on the heels of what started out as a startlingly impressive journey for the 22-year-old. 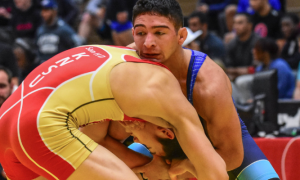 Chavez ended his collegiate season by earning All-American status at the NCAA Division I National Championships. 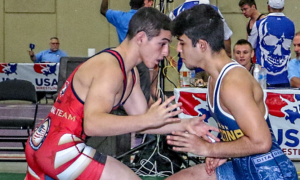 He returned to Greco in late-March, competing at 82 kilos for the NYAC/Bill Farrell Memorial and 77 for the US Open the next month. 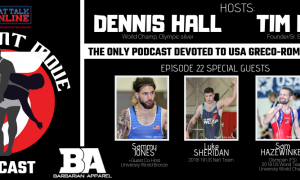 Then in June, Chavez dropped all the way down to 72 for the Trials, where he won the mini tournament before stunning Perkins in the best-of-three finals. As for Perkins, this has all been a whirlwind. 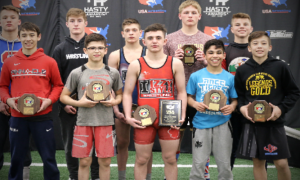 Leading up to the World Team Trials, the native Nebraskan was perhaps the most dominant Greco athlete in the country, racking up a record of 12-1 while outscoring his vanquished opponents 100-8. But after falling to Chavez in Tulsa, he needed a minute to reset and heal up a few nagging injuries. By the end of the summer, Perkins began returning to form in advance of Senior World National Team camp. Even still, Perkins did not expect to be thrust into this position. Although there were rumblings about Chavez’s weight, conventional thought dictated that everything would go according to plan and Perkins would still find himself on the sideline come October 25th. Perkins, unfailingly forthright, was both thankful and reflective when reached Tuesday afternoon to speak about his newfound opportunity. 5PM: The fact that you’re coming in here after taking second at the Trials, they’re unusual circumstances. Does that make a difference to you? RaVaughn Perkins: I really don’t think it makes a difference. I’m excited to compete at the World Championships. Unfortunately, these are the circumstances. I didn’t want it to happen this way. I was telling Spenser (Mango), This is crazy, I’ve won two Trials and haven’t competed at a Worlds or Olympics. I never wanted it to be because of an issue for someone else. But they told me to get ready, and I’m getting ready. It doesn’t change my mindset whether I won or lost at the Trials. 5PM: Even though you had been working out as an alternate the past few months it’s still not the same thing. Do you have enough time to get as ready as you want to be? Perkins: Well, we’re still going through camp in Hungary. I still have time to get to where I want to be. I am going to try my best. I have coaches who believe with me. I’ve got the best guys, too. 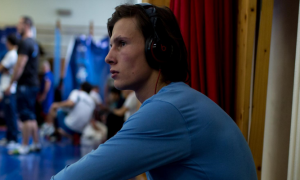 I’ve been training with Balint Korpasi (HUN), who was a World Champion. I also have Tamas Lorincz, and he’s always up there with the best at the World Championships. You always think of his name when you see that bracket. Once I found out what was going on with Jon Jay I started preparing. 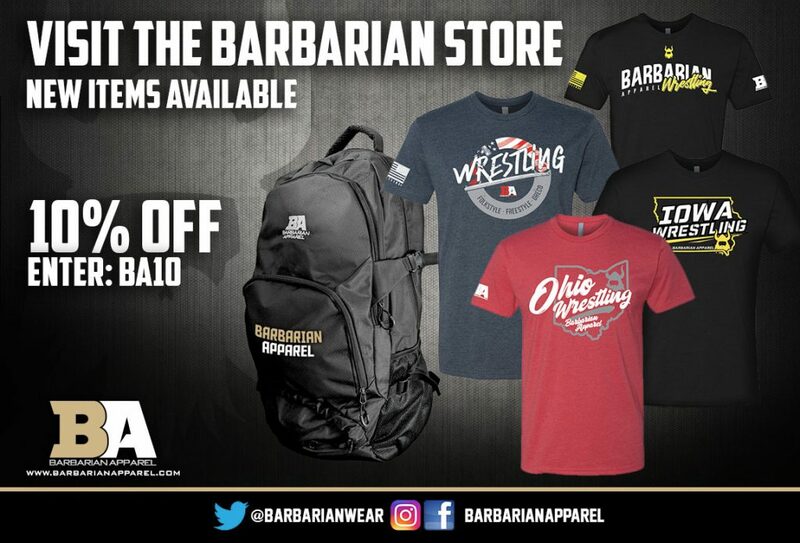 Everything they did at World Team camp, I did. 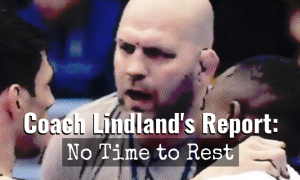 Matt (Lindland) said to do everything they were doing. And then once we got up here, I kept doing everything with the World Team. So it’s not to say the US doesn’t have great partners, we do. But you don’t get to practice with World champs at every camp. This is an opportunity to build on what I have to build on and go from there. It’ll take some time. I don’t feel myself slowing down. I’m getting positive feedback and everything is looking good. In my mind, I’m still behind a little bit but it’s coming along great. 5PM: Before Tulsa, yours was probably the strongest season out of every US athlete’s. This seems like quite the second chance. Does it feel like that to you? Perkins: It definitely feels like I’m getting a second chance. There’s no other way I’d put it. 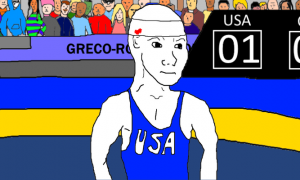 I had the top spot at the Trials, I was automatically in the best-of-three finals. Oh, I got this, no one can stop me from winning this. Then Jon Jay came down and beat me. He had his tournament and it broke me down a little bit. I talked to my coaches and they lifted me up. They didn’t know I was going to wind up competing at the Worlds. They built me up, and once I got the news that this might be a possibility, I got on top of it. I guess you could say this is the biggest second chance I’ve ever been given, despite all of the troubles I experienced when I was younger. I thank Jon Jay. He handled it like a man. He told me if anyone deserves it, I do. He said he saw how hard I was working, he said, Your head is in it more than mine is. I won’t let my coaches down for this second chance, I won’t let Jon Jay down, and I won’t let myself down. The 2018 Senior Greco-Roman World Championships begin on October 25th in Budapest, Hungary.